Many of you know that I like to run long distances. I love challenging myself to see just how far I can run with the time and resources that I’ve got. Many of you know that is how I came up with the name Relentless. The more I do these ultra marathons, the more I want to do the next one. Unfortunately, there aren’t many ultra marathons within a reasonable travel distance – most of them require international travel – which I don’t have the time or money to do. Therefore, why not make my own ultra marathon event? Just for FUN! In China, I organized a “Cha-Bu-Duo” (“close enough” in Mandarin) 10km run for my friends, and it was a blast! An ultra marathon distance event, however, requires quite a bit more organizing so I decided to make the race a timed event, as in, how far can participants run in the allotted time? I want to see what I can do in 24 hours, but to get some friends running with me, there will be 6 and 12 hour events as well. My friend’s kids want to run as well, so a 3-hour kids division will also be offered! This event is designed as a “fun run” with participants anteing up an entry fee to help cover the cost of rentals, food, water, and other necessary items for the race. It is not a fund-raiser for my project per se. Other runners are welcome to raise money for their own projects in a similar way as I am. We plan to start our adventure at 6pm the evening of 20 July 2012. We will all be running through the night (cooler that way) and some of us will still be running all through the next day. For this 24-hour endurance event, I’d like to raise money for my project Relentless (www.gorelentless.wordpress.com). Specifically, I would like to fund medical outreaches to red-light districts and after-care shelters for abused and trafficked people. The money raised through this event will help outfit my medical kit with supplies and medicines such as a blood-pressure cuff, extra stethoscope, scale, eye-chart, commonly used over-the-counter medications, disposable clinic supplies (e.g. gloves, swabs, hand sanitizer), and other items. I could also help fund the expenses of Thai volunteers (nurses, doctors, etc.) who are willing to travel with me to these places. If you have any questions about how the money will be used, please contact me directly. Please consider pledging a certain amount of money per kilometer run. Yikes! (You might think) Katherine could run quite a few kilometers in 24 hours! I actually don’t know what I can do, since I’ve never done anything like this before. However, knowing that I can raise more money with each step I take will motivate me to push myself! My goal is to run 100 miles (about 160km). Upon completion of this even I will inform you of the distance covered and the total pledge amount and the details of how you may choose to give. Donations can be made through my sending agency Interserve by this website: https://capitaldynamics.com/interserve*, or by check mailed to Interserve USA PO Box 418 Upper Darby, PA 19082-0418. I can also accept cash or a transfer via PayPal and I will issue you a receipt from Interserve for your donation to Relentless. What I need to hear from you is how much you plan to pledge and the method you would like to use for donation to help me keep track of the person and amount. Please return the following information to me via email pediattude@gmail.com or gorelentless@gmail.com. Thank you so much for your support in this RELENTLESS effort! *note, some people get an error message saying that this is an unsecure site. If that happens, please visit the Interserve USA website for more information. 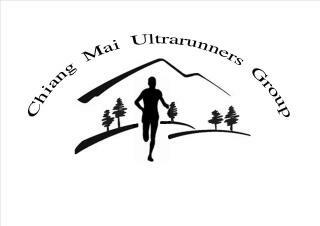 Categories: adventure and sport, expat life, Relentless, Thailand | Tags: Chiang Mai Ultrarunners Group, fund-raising, Relentless, running, ultramarathon | Permalink.